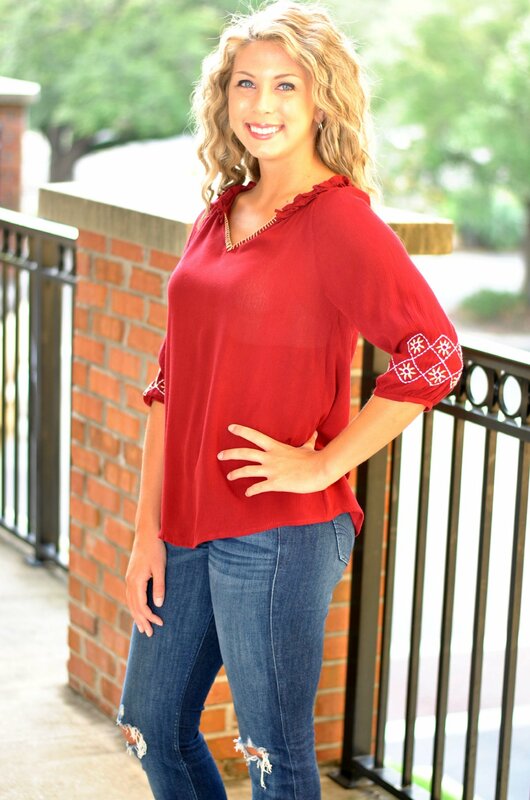 This embroidered, 3/4 sleeve top is a perfect gameday choice with jeans or capris! 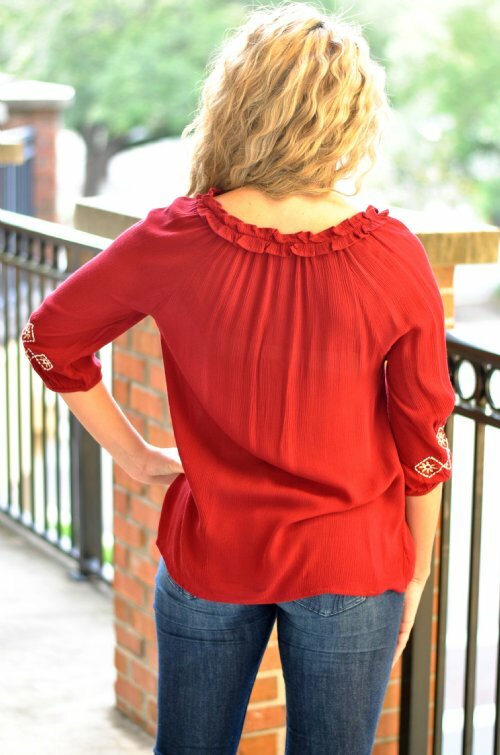 The slightly ruffled neckline is complemented by a contrasting embroidered stitching that matches the detailing on the sleeves. Summer is 5'7 and wearing a small. 100% Rayon. Hand wash cold, line dry. Size: Small, 4 Height: 5'7"
Interesting Fact: "I've only been to one college football game (I normally watch on TV with my family), and it was an FSU game. . .not even a Gator game, LOL"